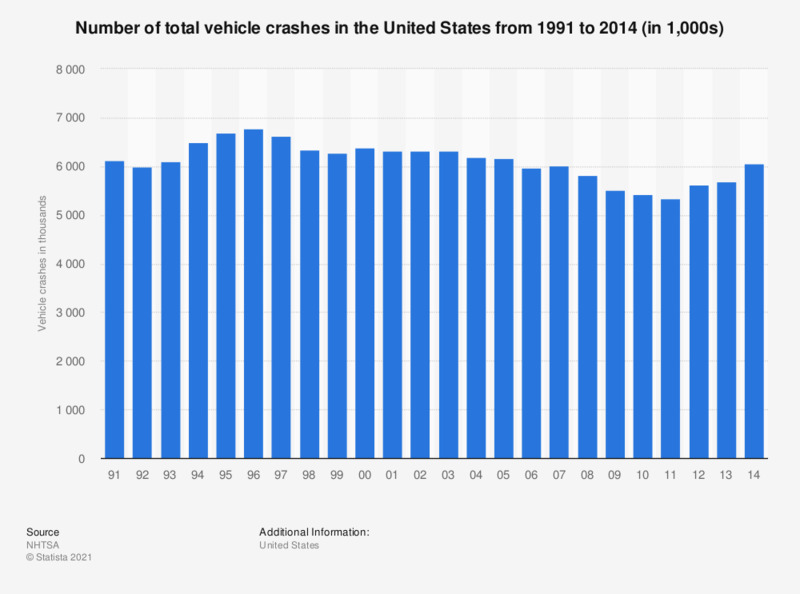 This timeline portrays the number of total vehicle crashes in the United States from 1991 through 2014. In 2000, approximately 6.4 million total vehicle crashes occurred in the United States, 37,526 of which were fatal. Includes fatal crashes, injuries, and property damages. The figures for 1991 through 2012 are taken from previous editions.